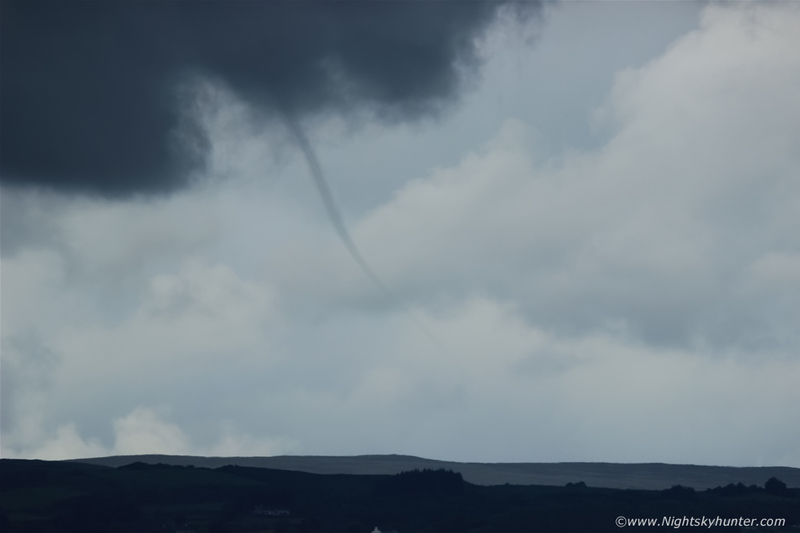 Beautiful rope funnel cloud rotating over the countryside to the NW of Maghera on June 24th 2016 with well defined condensation tube which remained visible in the air for 10 min's while constantly changing shape. The funnel was generated by a local convergence zone in conjunction with good solar heating in a slack flow with 700-800 CAPE, read the report for more information. * All images are available for sale in the form of photo prints, canvas or digital files for licensing, if you are interested in a purchase simply drop me an email.